They say a picture is worth a thousand words. This is probably true, especially when matched with valuable content, and hopefully attached to your radio show, podcast or video/TV. So how do you find relative and professional quality images that don’t cost you an arm and a leg? Here are some of the sources my team has put together that we use and recommend to our subscribers, hosts and friends. Keep in mind, even though the images might be “free” in many cases the only “payment” they require is “attribution” in most cases a link to their site with “Photo by Bob the Photo Guy” as the link text. UNSPLASH – One of my all time favorites. At 50,000+ images that are TOTALLY FREE, no attribution required, this is a great place to start. They are nicely grouped by collections, have a pretty decent boolean search function and what I really like is that their “subscription” provides 10 New Photos Every 10 Days. I personally like the subscription, sometimes the images are inspiration for writing something new simply because they are so creative in and of themselves. Foter.com allows you to search, manage and add free stock photos to blogs, forums, websites and other online media. We host over 220 million free Creative Commons images from many online sources and the entire system is also available as a WordPress plugin for seamless use within the WordPress platform. If you want, you can customize your embed code: resize the image as well as select the position in which they’d like to appear on their blog. It’s then simply a case of copying the short code and pasting it into the final site. If you use WordPress here’s the link to the Foter Plugin (although it hasn’t been updated for about a year as of this post). Speaking of WordPress Plugins, here’s another one that is quite handy and lets you insert the attribution as caption shortcodes right next to the image, about 200 million images from Flickr, Pixaby, and others. 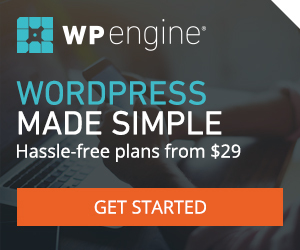 It’s called WP-Inject and you can get it here for free. StockSnap.io is another image site that provides attribution free images. They add hundreds of images every week. And this brings us to my personal favorite Gratisography — if you are looking for eclectic images, totally royalty and attribution free. This one is worth checking out. You can write almost anything wrapped around one of these very creative images. So that’s a quick selection of some of the free image tools that we use. I hope they are helpful to you. There are a host of other sites out there. Got a favorite. Use the comment box and let your fellow readers know what’s up with the what’s up! I’m sure I’ll be posting another one about images soon.